Patriot Insulation & Gutters, Inc. Comment: 144 townhomes in Johnston Rhode island. My company name is Network Management Constructors Corp. 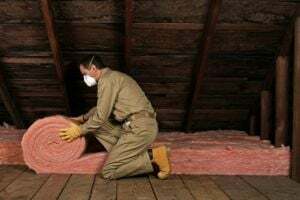 Comment: I would like to get an estimate for spray foam insulation for a multi family property. Comment: I am planning to do insulation for my garage (connected to home and no living room above). So open walls and roof of garage needs to be insulated. Comment: Need insulation installed in crawl space. Comment: office building attic space that is problematic with heating and cooling. we are tearing down wallboard to spray insulate. Johnston Insulation Contractors are rated 4.83 out of 5 based on 245 reviews of 8 pros. Not Looking for Insulation Contractors in Johnston, RI?